Our verdict on Robertson, Allison, Cox and Walker's seasons. See the guernsey we will be wearing in Round 11 and 12! Player reviews for Claye Beams, Nick Robertson and Cedric Cox. Cedric Cox burst onto the scene in 2017 after coming to the Lions with pick 24 in the 2016 draft. After moving from Halls Creek in WA's Kimberley region to Camperdown in country Victoria, Cox's speed, skill and versatility caught the attention of TAC Cup side North Ballarat Rebels. 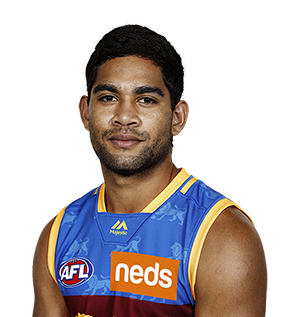 • Originally from Halls Creek in WA’s Kimberley region, Cox moved to Victoria as a teenager to pursue his AFL dream. • In 2017, Cox extended his standard two-year draftee contract by a further two years, committing his contract at the Gabba until the end of 2020. • Possessing silky smooth skills and a wonderful turn of speed, Cox quickly forced his way into the Lions Senior side, making his AFL debut in Round 4 against the Tigers. 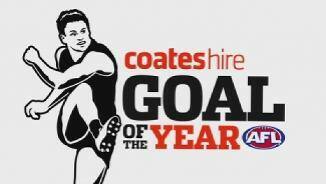 • Cox’s best match of the season was in Round 18 against the Blues when he collected 18 touches and kicked his first ever AFL goal, which won the fan moment of the year award at the Lions Club Champion. • Cox finished the year as a NEAFL premiership player and also extended his contract with the Lions until the end of 2020.